No matter the size, our philosophy is that the building process should be a pleasant experience. 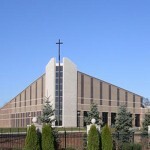 From building permits to the completed structure, church construction experience can provide unsurpassed direction and expertise in fine detail. Our commitment to you is quality church construction, timely completions, expert management, competitive cost, accurate budgets, and integrity of heart.